Melody Gardot is an American jazz singer, writer and musician. She was disabled at 19 after being struck by a car while riding her bicycle and began writing music after using music to aid her recovery. She has been influenced by such blues and jazz artists as Janis Joplin, Miles Davis, Duke Ellington and George Gershwin as well as Latin music artists such as Stan Getz and Caetano Veloso. Gardot follows the teachings of Buddhism, is a macrobiotic cook and humanitarian who often speaks about the benefits of music therapy. 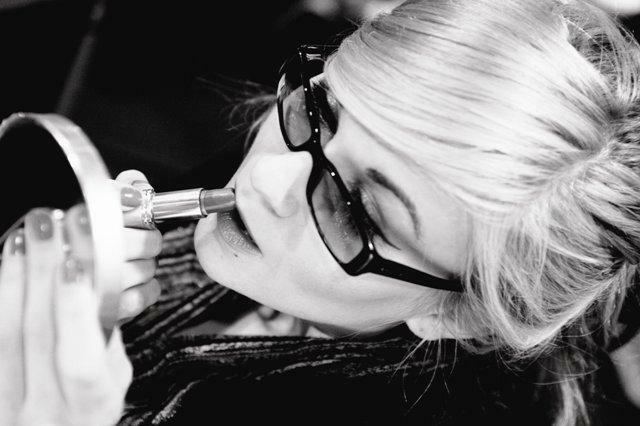 Born on February 2, 1985, in New Jersey, Melody Gardot was brought up largely by her grandparents. Her mother, a photographer, worked and traveled widely. They moved around New Jersey often and as a consequence had very few possessions, often living out of suitcases. Before her accident Gardot was studying fashion at the Community College of Philadelphia. Gardot was cycling in Philadelphia in November 2003 when she was hit by a car that ignored a red traffic light. In the accident she suffered serious head injuries. Her pelvis was shattered in two places and spinal injuries meant she was in hospital for a year. She had to re-learn how to do simple things such as brushing her teeth and walking and to this day she needs a cane to walk and, when performing, she sits on a special chair (or stands). Besides that, she also became sensitive to both light and sound and has to wear dark glasses. The accident also resulted in both long and short term memory problems and difficulty with her sense of time. Gardot has described coping with this as like ‘climbing Mount Everest every day’ as she often wakes with no memory of what she has to do that day. After her accident Gardot began writing music and since then often speaks and advocates in favour of using music for therapy. The accident had damaged the neural pathways between the brain’s two cortexes which control perception and higher mental function and made Gardot (in her own words) “a bit of a vegetable.” As well as making it very hard for her to speak or communicate properly, she found it difficult to recall the right words to express her feelings. Music involving listening and making a verbal attempt to sing or hum is thought to help the brain form new pathways. At first, Gardot learned to hum and was eventually able to sing into a tape recorder. She made good progress and was eventually able to write original songs that sometimes talked about her rehabilitation. For several years after the accident Gardot traveled with a physiotherapist and carried a TENS machine strapped to her waist which released pain reducing impulses. She was introduced to macrobiotics by a friend who loaned her a book on its benefits and she began to experiment and cook for several hours a day. As well as reducing her pain levels, she feels that macrobiotics helped her mental ability to cope with pain and helping her relax as the routine of cooking helped take her mind off her physical condition and she found she was able to sleep more easily. Buddhism has been an important factor in Melody Gardot’s recovery and she has described herself as a Siddhartha. She talks openly about her Buddhist beliefs and what she calls ‘the art of suffering’ and has said “to be truly Buddhist is to let everything go, your memory, your expectations”. Gardot started music lessons at the age of nine and began playing piano in Philadelphia bars at the age of sixteen on Fridays and Saturdays for four hours a night. She insisted on only playing music she liked, ranging from standards from the Mamas and Papas to Duke Ellington and modern groups such as Radiohead. During her time in hospital she learned how to play the guitar and began writing songs, which were made available as downloads in iTunes and released in Some Lessons: The Bedroom Sessions in 2005. She began to play these songs at venues in Philadelphia and was spotted by the radio station WXPN, operated by the University of Pennsylvania in Philadelphia, which helped to launch Norah Jones. As well as playing her songs, WXPN encouraged her to assemble a demo which was quickly picked up by Universal Records. Released in 2006 and then re-released by Verve Records in 2008, her first full-length album was entitled Worrisome Heart. After meeting her in New York City in 2008, producer Larry Klein began working with Gardot and they released her second album, My One and Only Thrill, on April 28, 2009. Also in 2009, Gardot released a live EP, Live from SoHo.